Productivity is an essential part of achieving success. You can’t go very far in life or excel past your position in your career or in your life without being productive. Productivity is hard to master and even harder to maintain; people often need to be equipped with a certain toolbox to help them maintain their productivity at work and in their lives. Staying productive can be difficult, especially the more clutter you have in your life distracting you from the task at hand. Minimizing your life can be one of the most effective tools to keep in your toolbox to help you improve your productivity. In this article, we’re going to explore how minimizing your life could help improve your productivity in both your life and your business and help ensure you maintain it. 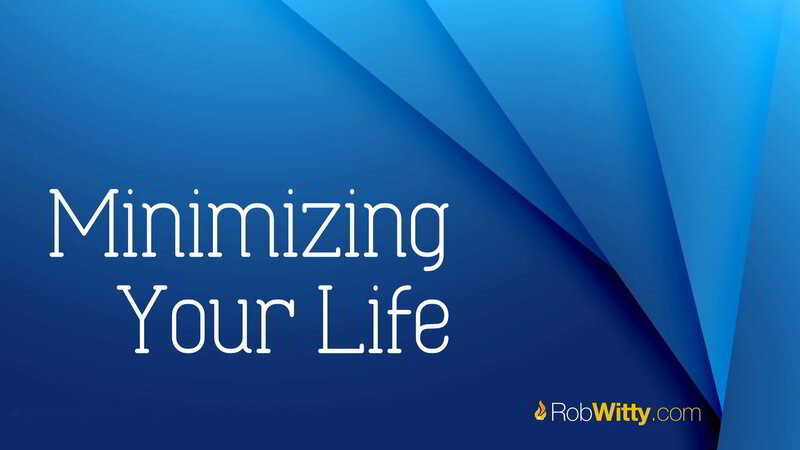 What Does Minimizing Your Life Mean? By “minimizing your life,” we simply mean decluttering it. Cutting out unnecessary obligations and activities, removing unneeded or unnecessary items, and decluttering your home and workplace. This can mean turning down or delegating responsibilities or obligations when you have too much on your plate already, throwing out things you no longer use or need, and keeping your priorities in order so you get done what you have to get done in a reasonable time. I may be making this sound easier than it actually is. Letting go of obligations, responsibilities, and objects that have been around a while has always been very difficult for me and can be much more emotionally difficult than you may think. It’s important to be patient with yourself through this process and allow yourself time to let go and process the loss. How Could Minimizing Life Help Improve Your Personal State? Clutter is a distraction that can cause anxiety and stress just by existing in your home or workplace. Similar to the way this junk clutters up your home, it clutters your mind and your life. It makes it hard to get things done, decreasing your productivity. Your mind is being pulled in too many different directions: the things you have to clean, the events and work you have to plan, the things you need to organize, and the task you’re trying to complete. Because your mind is so bogged down by all the clutter, your productivity worsens as you work slower. This can affect your life by taking time away from the important things to complete the task you worked with decreased productivity on. It takes valuable time you could be spending with your loved ones, nurturing existing or even building new relationships. What Can Improved Productivity Do for You? Improved productivity can provide you with a lot of benefits in more areas of your life than just your business, which is typically people’s first thoughts. Productivity is essential in reaching any goal you may have in life, be it career-based or life-based. You need productivity to ensure you meet all the steps necessary to reach your goals. When you work to complete a task in order to reach a goal, you have to actively work and keep at it in order to actually get everything done within the ideal time. Productivity helps to ensure that you stick to your schedule, getting all your work done and still having time for your family and others you love. Productivity helps to ensure you have a full and happy life. Minimizing your life, both in the way of physical objects and time, can help to dramatically improve your productivity. Productivity is essential to your success in both your career and in life. However, achieving productivity is far from easy and maintaining it is much more difficult. In order to achieve and maintain productivity, you have to minimize distractions, clutter, and your life. This will help ensure you have time to complete everything you need to complete and achieve all your goals.